Electric Submersible Pump (ESP) is a device which has a hermetically sealed motorclose-coupled to the pump body. Submersible pumps are widely used in oil & gas production to provide a relatively efficient form of Artificial Lift, able to operate across a broad range of flow rates and depths. By decreasing the pressure at the bottom of the well, significantly more oil can be produced from the well when compared with natural production. The pumps are typically electrically powered and referred to as Electrical Submersible Pumps (ESP). 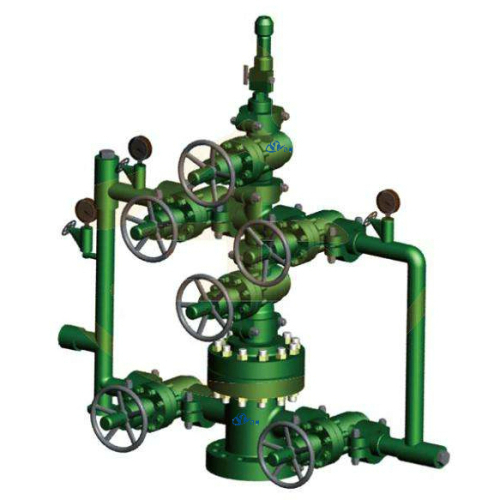 Electric Submersible Pump (ESP) Wellhead device is often used in mining land low pressure wells, water containing gas wells, or thick oil wells. The wellhead cable penetrating the tubing hanger and tubing sloper to connect the electric submersible pump and surface power. It features a good sealing performance and ensures safety with convenient operation, which improves the automatic level of the electric submersible pump well. 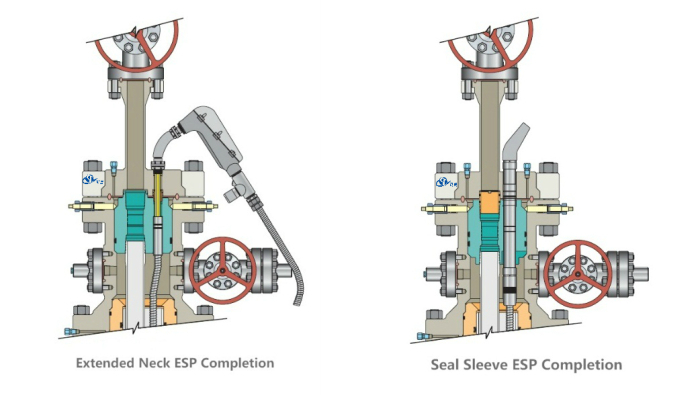 Special wellhead completion equipment is required when using an Electric Submersible Pump (ESP) to provide artifical lift. 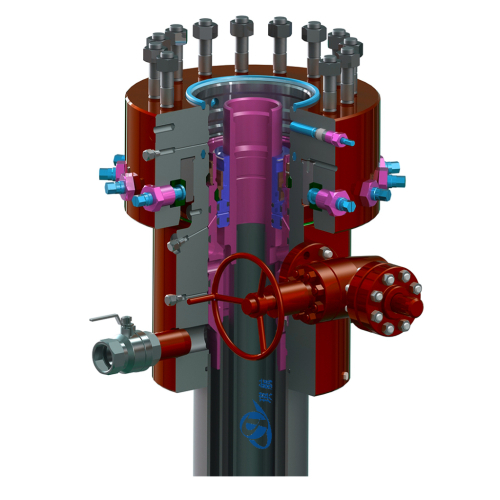 This equipment must isolate the power cable from the wellbore and pass it through both the tubing hanger and adapter to the exterior of the wellhead. 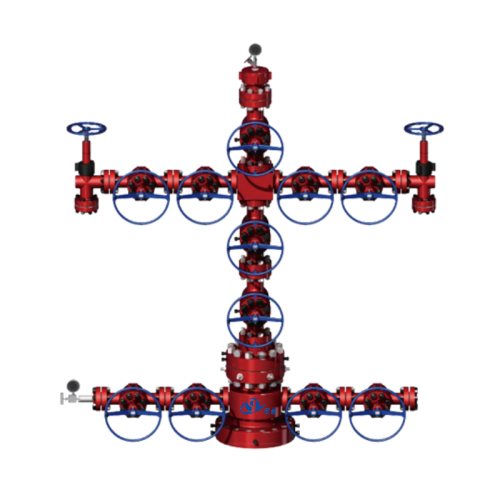 All of our ESP Wellhead Assembly and Christmas Trees are fully designed, manufactured, and tested in accordance with API 6A & NACE MR0175 standards. 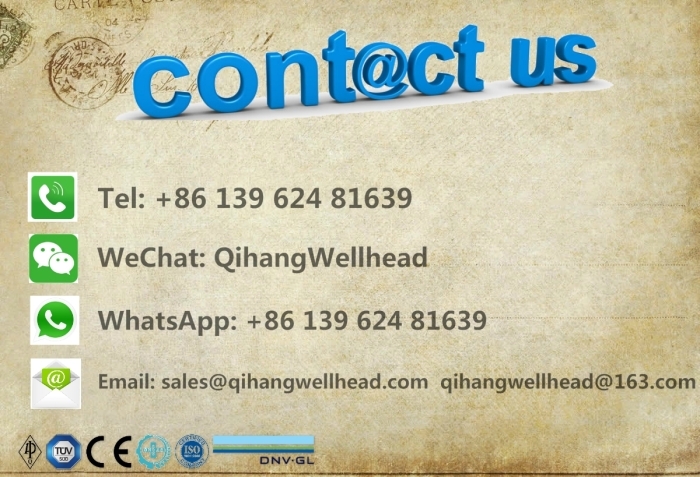 As a professional manufacturer of Wellhead Christmas Trees, Casing Heads, API6A Gate Valves, Choke & Kill Manifolds, Tubing Heads and Hangers, Qihang Wellhead offers a wide range of solutions to match customers' specific ESP requirements. 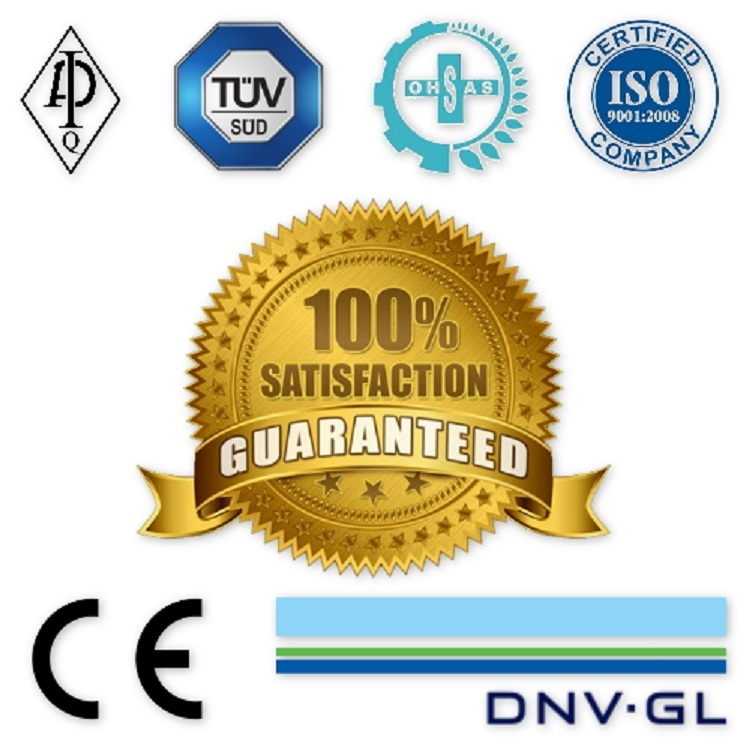 Traceability: Qihang's ESP Wellhead Assembly and Xmas Trees are supplied with full traceability documentation for each component. 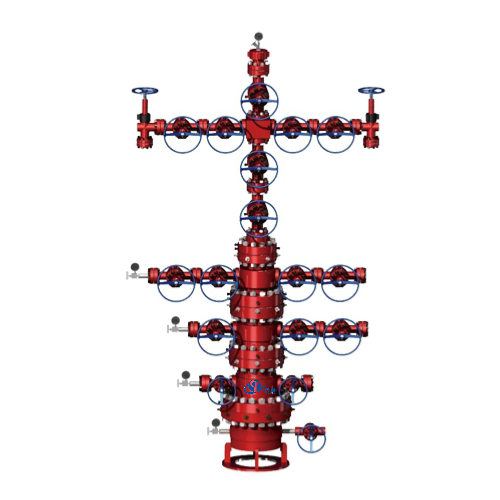 Oilfield-Proven Design and ESP Wellhead Christmas Tree Products. Cable penetrator and cable adopt a structure of rapid power plug, which has a good performance of anti-puncturing and explosion-proof. Can be used for different types ESP. 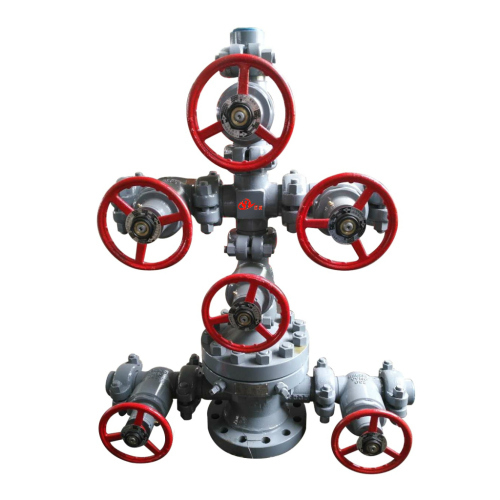 Gate Valve and Choke Valve can be used as per customers' requirements. 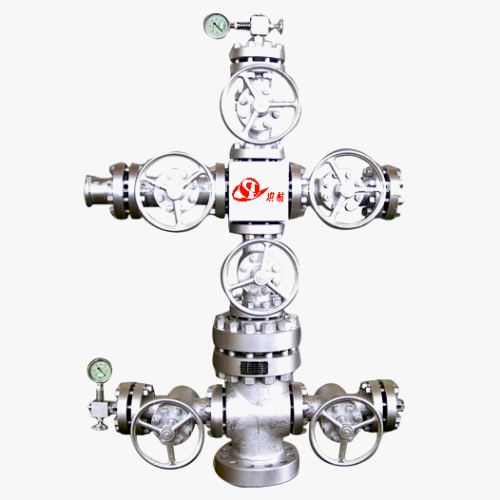 Qihang produces various types of High Quality API 6A ESP Wellhead Assembly & Christmas Trees at Truly Competitive Prices. Contact us Today for your specific ESP requirements.